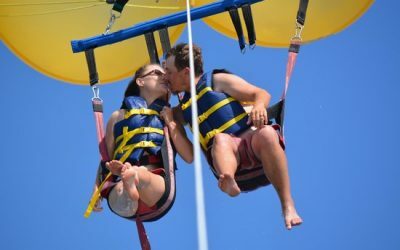 Your tour begins in the afternoon with hotel pickup by private air conditioned vehicle and an experienced English speaking driver. 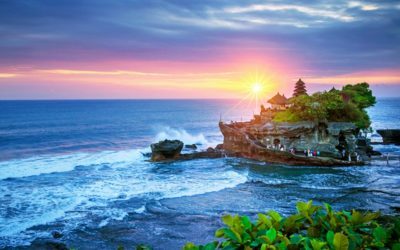 First destination will be Uluwatu Cliff Temple. 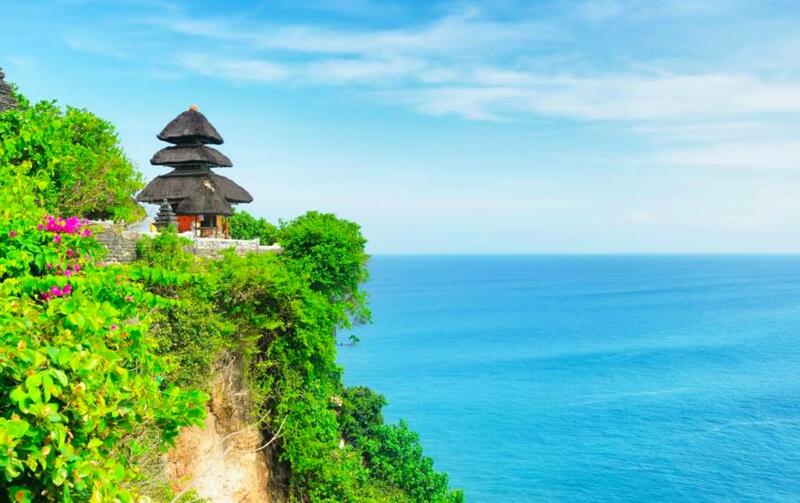 A Hindu temple set on the cliff bank in south part of Bali Peninsula. It is situated on the coral reef sordid to sea about 80 meters above the sea level. 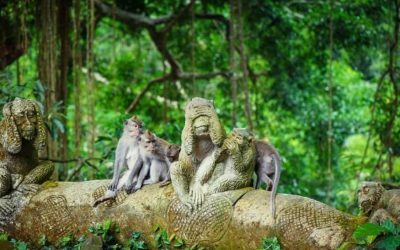 It is featured by a small dry forest which is mostly called by Alas Kekeran (interdict forest) which is belong to the temple and dwelt by a lot of monkeys and other animal. Name of Uluwatu was come from the word Ulu meaning the head and Watu meaning stone. 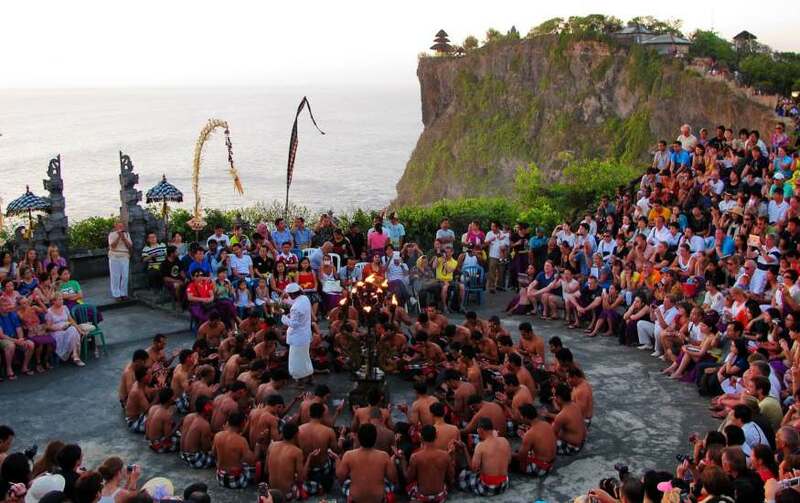 Therefore Uluwatu Temple mean the temple built in top of coral reef. 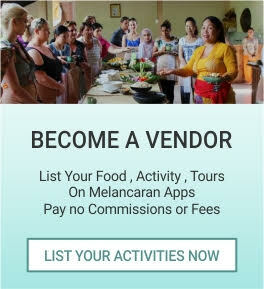 After explore the temple, for optional only, you could also enjoying Kecak Dance. The nightly performance is called a ‘Kecak Dance’, an onomatopoeic title for the sound of the chant. It’s based on a traditional Balinese ritual but was actually created by a German man in the 1930s and based on the famous epic Hindu story of the Ramayana. This is just an option for you, however if you would like to watch this performance, you have to purchase the tickets in there at your own cost and your driver will waiting. 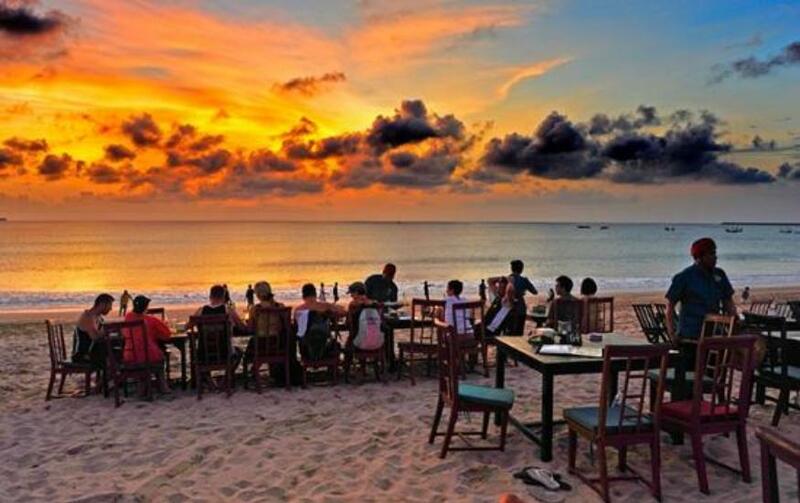 In the evening, head to Jimbaran Bay, it has a long beach with calm waters. It’s lined with fish restaurants and backed by tropical forest. This place is very famous for it’s romantic candlelight dinner on the beach while enjoying the breathtaking of the ocean and scenery of local traditional boat are parked, accompanied by live group music by local singer offered international song and the sing title could be request. This could be the place to having your dinner, but meals fee is excluded on this tour since the favorite meals of everyone are different, so the dinner will be optional and at your own cost. Your day tour ends with return to your original pickup point.